Adjusts the seat temperature The further you move the dial upward, the warmer the seat becomes. 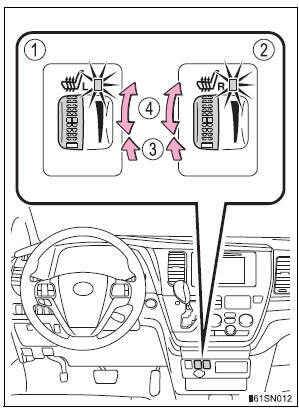 The seat heaters can be used when the engine switch is in the “ON” position (vehicles without a smart key system) or IGNITION ON mode (vehicles with a smart key system). When not in use, move the dial fully downward. The indicator light turns off.